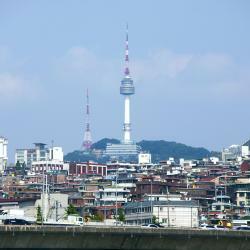 Looking for hotels in Itaewon? Itaewon Crown Hotel is located a 3-minute walk from the bustling Itaewon Street, full of restaurants, pubs, clubs and shops. Great place to stay for the price and location. Close to Itaewan Seoul. 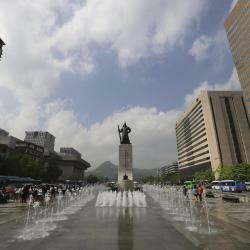 Mosc provides air-conditioned rooms in Seoul. Built in 2016, the property is within 2.3 miles of The Shilla Duty Free Shop Main Store and 2.7 miles of National Museum of Korea. Everything! This was by far the nicest guesthouse I've stayed in. They didn't make you feel like you were a sardine in a can. You had plenty of personal space, the common area was awesome, and the staff wrre very helpful and accommodating! G.Haus Home is located in Seoul. 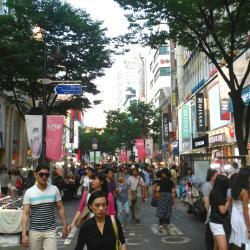 Around 2.3 miles from I'Park Mall, the property is also 2.4 miles away from Namdaemun Market and offers free WiFi. The place is in an excellent location. The host is super helpful. The place was maintained really well. Overall I really liked my stay. The room was just right for a solo traveller like myself. 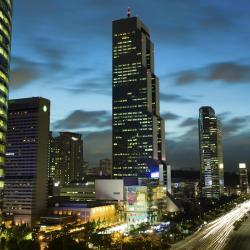 Juniper Garden Guest House provides air-conditioned accommodations in Seoul. I give this house 4 out of 5 star. The facilities were good, from kitchen to bedroom, all is complete. The host is friendly English speaker. And the price is so affordable. Located in the Yongsan-Gu district of Seoul, Good Stay Itaewon has rooms with free WiFi. The beds were some of the most comfortable I have ever slept in. It had a bath. The owner was really nice. There was cereal, toast and jam and fruit for breakfast. 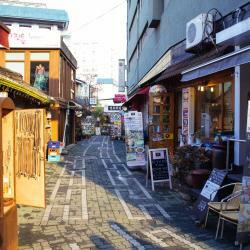 The location was a few blocks down the street from Itaewon. And I met some interesting guests while there and had some great conversation! All good! Conveniently located a 6-minute walk from Itaewon Subway Station (Line 6), Haus Guest house in Seoul offers cozy and friendly hostel accommodations. 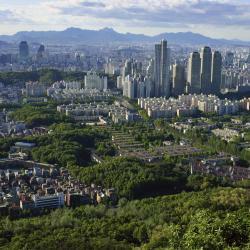 Convenient location, close to Itaewon’s nightlife but far enough to get a good nights sleep. All the staff were great. Rooftop which although not as used in November due to the weather I imagine will be a great place in the summer.